These skills related to money management for people with disabilities are focused on credit and debt, emergency planning and savings, and increasing income. Once you have the basics of money and budgeting, you are ready to tackle a few more advanced skills to build your expertise. Here we will focus on credit and debt, planning for emergencies, adding to your income, and continually improving your finance knowledge and skills. Ready? Some information about the use of credit cards was covered in the section on understanding forms of money. But here we are focused more on credit itself– as the ability to purchase goods and services now with a promise to pay in the future. Obviously this involves some level of trust. Why would anyone repair your broken tooth or let you take a pair of shoes home from the mall today if you just tell them you will pay them in a week or month or even later? The answer is that almost anyone will if you have good credit. That sounds like a powerful item to have, and it is. But creating and maintaining good credit takes constant awareness and responsible practices with your finances. Remember back in school where you were graded on spelling tests or science projects all resulting in a final grade for a class that when all grades are calculated resulted in a cumulative GPA (grade point average)? A credit score is just like that grade point average. Everyone who has any history of purchases at all on credit, from buying a car, paying electric bills, or taking out a student loan has a credit score. The scores range from 280 (not good at all) to 850 (excellent!!!). As you might guess, your credit score changes throughout life depending on how you use credit and pay off your debts. Here is where it gets a little complicated. Every time you pay for something using a credit card or a loan, such as a car loan, or have an open account (such as utilities), you add information (like a new grade) to your credit history. If you are late or skip a payment that reflects negatively on your history and if you pay consistently on time it is reported as a positive. Any bankruptcies or judgments (such as child support obligations) reported in public records also figure into your information. Your credit history is then put together in a report by three different credit bureaus: Experian, Equifax, and TransUnion. By law, you are entitled every 12 months to one free report from each of these organizations and should take advantage of that to ensure your credit history is accurate. You can gain access to these reports by going to AnnualCreditReport.com or by calling 1-877-322-8228. The companies report credit activity slightly differently but they are generally within a few points of one another. Let’s say you want to rent an apartment. Your potential landlord can ask for your personal information to check your credit history. So, too, might a government agency, a retailer if you are applying for a store credit card, or anyone else who is considering granting you credit. Remember, you, too, can access your credit report and if you do, you can easily see what information others will see. All credit reports include your Social Security number, all previous addresses and telephone numbers, birthdate, and employment history. Of course your history of payments (or lack of payments) on your accounts as well as your applications for and use of credit are included. Such information as your race or marital status cannot be included nor can medical information, bankruptcies older than 10 years or debts older than 7 years. The agency or landlord deciding to grant you credit or to risk renting property to you then uses the report, including the numerical score to make a decision about you. All inquiries about your credit history are also included in the report. Debt is money owed, usually with some agreement about repayment time and amount. When you don’t have enough money to pay for your bills or the things you need and want, credit can be a backup source of funding. But financial advisors agree that credit should be used sparingly and generally for big-ticket items such as a car, mortgage, or even student loans, not for groceries, monthly bills, or nonessentials. Any balance on a debt that is not paid on time, especially credit card bills that you either don’t pay the entire amount or skip a month, accumulates interest. If you are using credit to pay most of your bills each month because your debt is always greater than the money you have available, you are going to accumulate large fees that can completely crush your ability to ever dig out of debt. For example, if your credit card company charges 15.25% interest on unpaid balances, a $100 item will cost you $115.25, and if you don’t pay in full the following month, the $100 item will now cost you $132.83. You can see how the more debt you owe, the more difficult it is for you to keep up with your monthly budget and save money for something you really need or for emergencies. What would you do if you were suddenly confronted with a $400 repair bill on your car you need to get to the store or the doctor? Or you had to fly to another part of the country to help a sick relative? Of course you could use a credit card for these expenses, if you have one. But as we just discussed, having money saved for unplanned events or emergencies is one of the best ways to avoid debt and meet your goals of financial wellness. Having $400 or even $200 in a savings or emergency fund may sound impossible. Few people are able to save that much money each month. But setting up a plan to save something, even as small as $5 a week or $10 a month, can set you on the path to establishing that fund. And here is a little secret that might encourage you: People who begin to save even a little bit, are motivated to examine their budget to find even more ways to save money. There are thousands of people who are trying to increase their savings and create a fund so that when a money emergency happens (and they happen to all of us) you have a fund in place that you can access easily to take care of it. How much should people plan to have in an emergency fund? The answer is as much as you can. Sure it would be great to have enough money to pay all your bills for at least 3 months. But every little bit helps and adds up. If you don’t already have one, commit today to start one just to put you on the path towards financial success. Every dollar you commit to an emergency fund brings you one dollar closer to managing your money and life successfully. Once you set up a budget, you have to carefully watch your spending to make sure you don’t spend more than you have each month. At some point, you might wonder if there is some way you can boost your income beyond your disability payment. Here are some ways you might want to investigate as possibilities for adding income to your monthly or yearly budget to help with expenses or setting up a healthy emergency fund. Wait! Can a person have a job and continue to collect disability benefits? Isn’t the fact that you have a disability the reason you can’t work? Yes, you can work and continue to collect disability benefits. There are definitely rules regarding the amount you can earn per month, reporting to Social Security your intention to seek employment or actual employment, and receiving assistance while you are training for a new career or job. This is one of the most misunderstood aspects of being a disability beneficiary and deserves more than the short space devoted to the topic here. 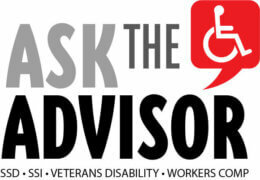 The link to information from SSA about working while receiving disability benefits is below. And stay tuned to more information here that can help you explore this exciting opportunity for you to add to your income. Your ability to make knowledgeable decisions about how best to manage your financial resources can be one of the most valuable resources you have to manage your disability and improve the quality of your life. No matter how confident you might be about your money management skills, the world of finance is constantly changing. To keep up, you can pay close attention to financial news in the media, read books or articles on the subject, and talk to people you know about their relationship to money and the tips they use to be financially successful. Yes, money is one of those touchy subjects that many people are not comfortable discussing. But without disclosing specifics, you can bring up the idea of sharing money tips or ask others for advice on how to take care of financial issues, topics that most people can participate in and learn from. Whatever works best for you, make sure you work on improving your money skills frequently as part of your plan to move beyond where you are today towards a better future.